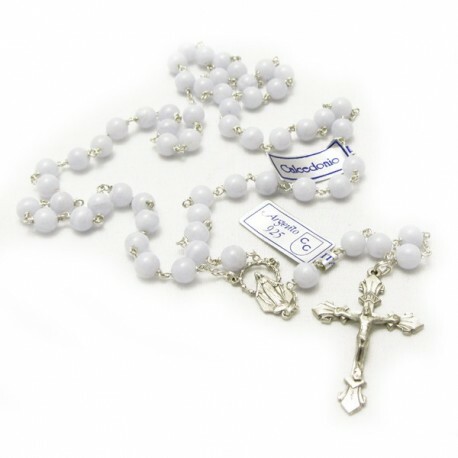 Silver and chalcedony rosary, made in Italy. 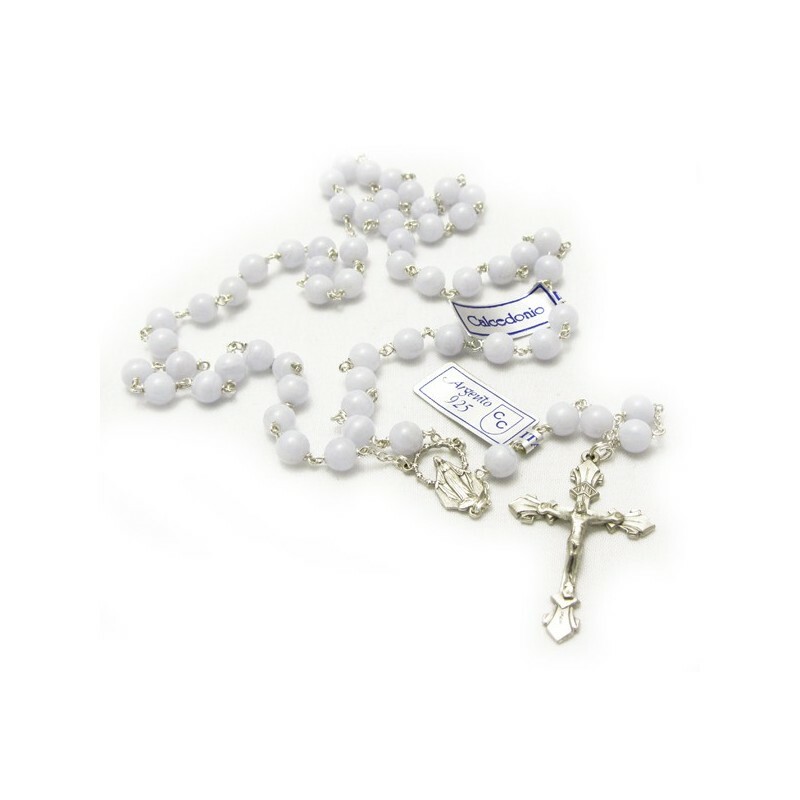 Silver and chalcedony rosary with rounded grains, D. mm. 6, binding and silver crucifix. Made in Italy. Fratina chair of walnut dye.